Would he go all out to help if they were attacked in a war with North Korea? Two American territories—Puerto Rico with 3.5 million people, and the Virgin Islands with 100,000 people—have learned the hard way that the American government under President Donald Trump is not there for them in their recovery from Hurricane Maria. Even though the populations of both territories are American citizens as much as anyone living in the 50 states, the people of those two territories are being treated as second or even third class citizens. 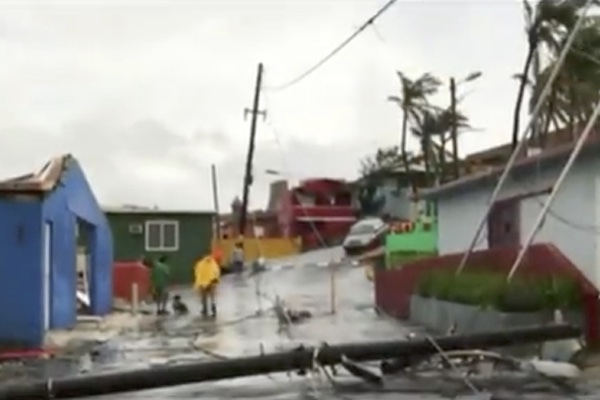 These two island territories are being ignored in their basic needs for food, water, electricity and basic shelter, as the response of the military, the Federal Emergency Management Agency, and health professionals are totally inadequate in the midst of an emergency situation. This unfortunate reality will exist for many months, and likely years. The emergency US Navy Medical ship that was sent has hardly become engaged in major support, and took nearly two weeks to arrive. Why cannot the military mount a major relief effort, as was done in New Orleans and Hurricane Katrina in 2005? Why did Donald Trump play golf as the hurricane disaster evolved? Why did he attack the San Juan mayor, who rightly condemned his slow, inadequate and uncaring response? Why did he warn that the island territories could not expect a federal presence “forever,” when there was a six year response in Louisiana a decade ago? As a result, we can expect a massive migration from Puerto Rico and the US Virgin Islands, and in the case of Puerto Rico in particular, the likelihood of half the 3.5 million population migrating to the mainland, and particularly to Central and South Florida. Many will also migrate to the New York City metropolitan area, as well as to New Jersey, Philadelphia, and Chicago. But those too poor or sick and those lacking relatives on the mainland will suffer in deprivation, and the death rate will go up dramatically from the low number officially announced. Many people are drinking polluted water and will die from bacterial diseases spread by rotting animal corpses on the island. Economic opportunities will be minimal for a long time, and schools and other basic institutions will be lacking, as basic services, electric grids, and businesses of all kinds will be slow to recover. The US Virgin Islands may end up fundamentally abandoned. Their identity as a vacation spot has been severely diminished. The same goes for Puerto Rico. The lack of commitment to Puerto Rico and the US Virgin Islands is shocking, and it causes one to wonder what would happen if the territory of Guam in the Pacific – a US possession – was to be attacked by North Korea. One wonders how the government would respond if the state of Hawaii was attacked. Hawaii has only 1.4 million people, 40 percent of the population of Puerto Rico. Would we NOT have a more rapid and extensive commitment to Guam and Hawaii, as Trump seems ready to go to nuclear war if Guam is attacked? So why not do the same for a natural disaster? Could it be because the people of Puerto Rico and the US Virgin Islands are fundamentally not white Anglos? Is it not a sign of Trump’s racism, as he has been very critical of Mexican Americans and other Hispanic Americans? One has to wonder what the federal government reaction to an invasion or attack on Guam or Hawaii by North Korea would be by the Trump Administration. Would the multi racial population of Guam, which is only 7 percent white, and of Hawaii, which is only 25 percent white, be able to count on a major federal commitment to rebuilding? Or would Guam and Hawaii be treated in the shabby and delayed fashion as Puerto Rico and the US Virgin Islands are facing? This would also apply to the possible natural disaster of a typhoon, earthquake, or tsunami affecting either Guam or Hawaii, which has historically had to be concerned about such events occurring. This is an issue worth pondering, as if all Americans, wherever they live, have to be concerned about a fair and equitable federal government commitment to recovery, then we have a moral and ethical crisis of massive proportions. This is an issue worth pondering, as if it is accurate that the response would be inadequate in the Pacific as much as in the Caribbean, then we have a moral and ethical crisis of massive proportions.